Russ Baker takes a tour through the KGB Museum of grotesque and quaint spy tools, located in the heart of New York City, of all places. A great deal remains to be discovered about the disgraced lawyer’s Russia ties and the nature of his nearly two-decade dalliance with Trump. Will Congress ask? Young Saudi men facing serious charges in the US manage to escape their day in court and receive a quick flight home. Such meddling in foreign justice is a curious development, considering the hostility the Kingdom shows toward outside influence on its own internal affairs. 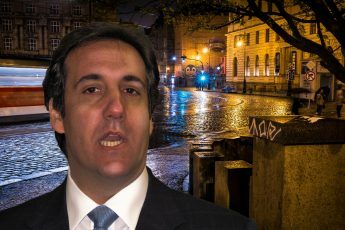 The notorious Steele Dossier claimed Michael Cohen, Trump’s ex-personal lawyer and soon to be convict, was in Prague in summer 2016 meeting Russians — allegations he denies. But new reports concerning his cell phone geolocation metadata may substantiate the dossier. Trump’s move to pull out of Syria has been called a surrender and a betrayal of allies. Yet it may increase American leverage in an extremely messy situation. Michael Cohen, President Donald Trump’s former personal attorney, has been sentenced to three years in prison. Here’s the backstory you need to know. Michael Cohen has been in and out of the news, most lately pleading guilty to lying to Congress. Check out his mysterious backstory with the former USSR — which may explain why Trump originally hired him. Italy’s ultra-right government hates Riace, a model town for migrants and asylum seekers. And the country’s strong-man interior minister is doing something about it. A conversation with international journalist and screenwriter Rula Jebreal about her final interview with Jamal Khashoggi. With polls tightening ahead of the midterms, is the slow-moving caravan of migrants moving toward the US the “October Surprise” Republicans need to scare their base into turning out? The Trump administration’s contempt for international courts deepens American unilateralism and emboldens rogue action. EU migration policy is turning deadly. People seeking to reach Europe are drowning at its doorstep or caught in the crossfire of Libya’s civil war. 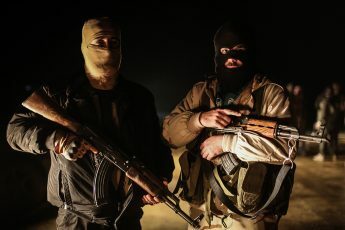 An obscure case of an American pastor jailed in Turkey and a failed prisoner exchange have spiraled into declarations of economic war between the US and a key NATO ally. Michael Cohen may have just jeopardized Trump’s presidency. Long before the spotlight was on the president’s most troublesome ex-attorney, WhoWhatWhy was probing this curious character in the Russiagate saga. The US president is notoriously thin-skinned. He’s faced considerable protests across America — but it’s about to be turned up to “11” when he touches down in the UK tomorrow. A new government report concludes that the US’s ongoing effort — now in its 17th year — to stabilize and reconstruct Afghanistan has been marred by misspending, corruption, and incompetence. Erdogan’s power grab in Turkey has been rubber-stamped by an election described by independent observers as free but not fair. His promises for peace and prosperity ring hollow, experts say. Child Separation Crisis Background: Who Caused the Misery South of the Border? Anyone who thinks people just brave the border hazards for the heck of it pays no attention to historical causation — in particular the role the US has played over the decades propping up right-wing dictators throughout South and Central America. Everyone’s buzzing about the huge payment Trump pal Michael Cohen took to get the Ukrainian president in with the American president. But there’s more of a Ukraine connection to Michael Cohen than the media is telling us. Russia, Saudi Arabia, UAE, Israel: What the Hell Was Going On at Trump Tower? Wait: Isn’t the main Trump scandal about Russian influence? All of a sudden they’re talking about a bunch of other countries. Don’t worry. We’ll explain.